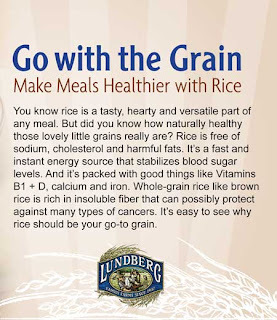 Since 1937, Lundberg has been using sustainable farming practices to enrich the soils and improve the rice crops. 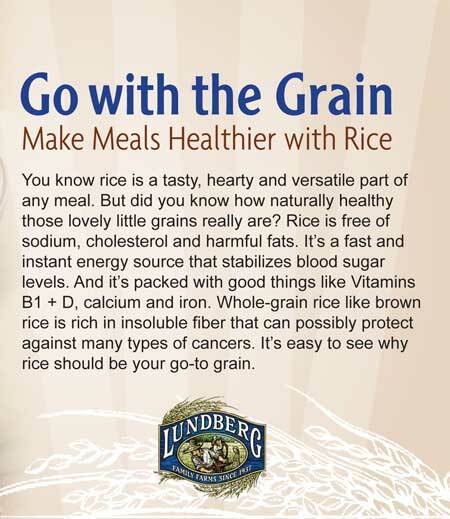 Having spent much of my youth on a rice farm myself, I LOVE rice and I really appreciate Lundberg’s organic and eco-farmed techniques! I am always struggling to come up with some new and exciting food to serve for dinner so when I heard about Lundberg’s Organic Brown Rice Couscous I thought it might be a winner. Brown rice couscous sounded good because I like to try to get as many whole grains into our diet as possible and I also liked that it came in four different flavors. When I received it and checked it out I was really happy to discover it cooks up in under 15 minutes! I tried it out right away and cooked up a easy, quick meal. I loved the Organic Brown Rice Couscous! My kids were a little reticent to try something new but they ate it with coaxing and when we had the second box they were already familiar with it and they ate it all up. I also really like that on the Lundberg website they have suggested recipes like Stuffed Peppers with Roasted Brown Rice Couscous. As I said, I always need new food ideas! You can use the Lundberg Store Locator to find them in a store near you. Our Roasted Brown Rice Couscous is gluten free and made with 100% organic brown rice. With its light, fluffy texture, versatility, and quick 15 minute cook time, our Roasted Brown Rice Couscous makes an excellent side dish or base for any recipe. Available in four delicious flavors: Plain Original, Savory Herb, Roasted Garlic & Olive Oil, and Mediterranean Curry. Lundberg did provide me with the couscous to try in the hopes that I would share my honest opinions. I received no monetary compensation and the opinions expressed are my own.